As always, in my opinion, Nature has its way of balancing things out for us, otherwise we would not be needing to make assessments and decisions in life JDM vs PKDM is a debate going on here for almost a decade now and to say the least, both have their fanclubs and rightly so. JDM would give you more safety on road, better features, better build and overall would justify its price tag. Lack of official service points and spares would always remain a hindrance to their complete acceptability in any foreign land. PKDM's give you mental satisfaction of after sales service and spares but the overall package may not justify its price tag IMO. Its time we must all accept the reality, PKDM's wont be able to catch up JDM's in many aspects and vice versa, so it is totally a subjective call. Every one has their own family, financial, psychological and decision making process and we must all respect each other's choices. Objects are just worth the meaning we invest in them, what we ascribe to them, so why get personal over other's choices ?? I switched from PKDM to JDMs and AlhamdoLillah in last 5 years, there hasn't been any issue I haven't been able to get resolved locally. Was it convenient or easy, probably not, was it worth it, for me hell yes But at the same time, I would totally respect my neighbor's and friend's choice who owns a PKDM in the same price range. The last pkdm car my garage saw was a 2007 brand new santro and the same year i bought a 2004 vitz for myself, had to sell the santro after 3 years use because of problems like heatup issues in summers and the build quality was very poor but the already 3 year old vitz lasted for 7 years without a single problem. Sold it because i got bored with it but AlhamduLillah no problems at all. Lets concentrate on the posters problem please. Translate all these errors via Google translate and see if you can figure out something. The issue is registered with transmission, so your car might not be recalled. My dads friend is having another problem where car shuts off when slow and turns on back (By shut down i mean no battery run)! I will try to post video. As far as I searched the internet for the said issue, it seems like the Parking Break is on. There are 2 things, 1 is Parking Gear and another ins Parking Break. There is a button near the gear that you need to push etc, to on / off the Parking break. I am not a Vezel owner yet, but soon to be. @drzac and other Vezel Owners, do you know/think that this OR such errors etc are there in Vezel 2015 ? It seems that versions in 2014 got some problems. Also, is there any way to convert that Japanese messages to English in the panel - may be a software update etc? (Obviously not Google Translate). Well, imo to generalize all 2014 manufactured vezels as having software issues would be very unfair to say the least. Less than 10% of 2014 produced vezels had a recall in Japan and for a new launch this figure is very much acceptable as most experts would tell you. Fit hybrid 2013/14 on the other hand had lot more fraction of recalls. Regardless, its a good thing that 2015 onward, no recalls for Vezel. So if one is going to import 2014 vezel, its always nice to lookup for its recall status on Honda japan website by entering its chassis ID. That's what I did as well. And, unfortunately there's no authentic way yet to change the language in modern JDM's cluster panels. Great - thanks for your input. I am planning to buy 2015 model. Can you please give me a link OR article where I can see what difference between packages ? I am dumb as far as the auto and related terms are concerned. I came back home after long journey and car is still in smae status, some electrician visited to check but they ask car in garage which I did not trust in my absence. summary is that Honda and INH do not have computer software to check fault and hence could not repair it. Can someone suggest me good electrician or have repaired similar issues??? Whats the issue you're facing? My dads friend had been facing many issues in his vezel. I fixed many but one new issue is there now. Its parking brake light blinking. how are you fixing the error codes ? 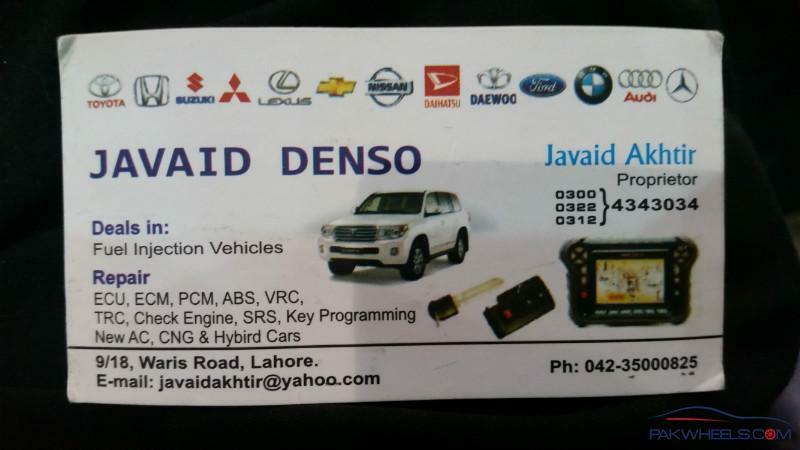 can someone recomand hitech mechanics in lahore? well in your case apart from honda 3S or if you dont know a person with a deep level scanner you may try Porsche Centre Lahore as they do handle other makes as well and should have better diagnostics and with my experience of them they are very through when it comes to checking for issues especially electrical ones they may help you tracing problems in harness if any. and by porsche centre i mean the porsche centre not INH which are frankly useless. I read each and every reply to this thread to find if some one has given a solution to this problem which really worked but unfortunately same is the case i have indirectly faced three times. Same cases were reported to me for any solution but those were new for me as well because vezels are totally new to the market with new technology. Any ways I told every possible solution to them including visit to all the top workshops but all useless. In all the three cases the cars started giving same problem and completely refuses to move an inch further even one person told me that he was at motorway and stopped for a few seconds to relax and have a cup of tea but when he came back the car started behaving the same way as your car does. Then the car was loaded on a emergency service to take it back to faisalabad. Any ways as mostly people know me that i used to deal in jdms and i was one of the few people who import and sold vezels the queries came to me to find a solution to it. In all the cases the final issue was found within the gear box.... Then the car was sent to a few gear box specialists and they found it not repairable and having some problem with dual clutch system and also with some internal breakups. Finally they recommended to change the gear box which was purchased for Rs. 280,000 pkr which they luckily was able to find it from karachi market from a half cut accidented car. Similarly for Second car the gear box was purchased from bilal gunj in rs.350,000 and in the last case no gear box was able all over pakistan and there was only one option to purchase it brand new from japan which was costing about Rs. 5 lac but the owner refused to spend that much on the car and its still parked at his house. The purpose is not to disappoint any one but sharing my few cents which may help someone. Although i dont have vezel, but i am a prospect so following this thread, this is first post so far that is pointing towards "can be a" solution.